Dark as winter's night, this is definitely a wine for once the sun has set. It is choc full of liquorice, spice and dark fruits. Meaty too. Dense and mouthfilling, the flavours expand to all corners of your palate. The fruit for this wine comes from a 65 year old vineyard in Bleasdale, in the Langhorne Creek wine region. These old vines don't produce much fruit, but the grapes have so much flavour that they easily make up for the lack of quantity! Who doesn’t love a great Shiraz? 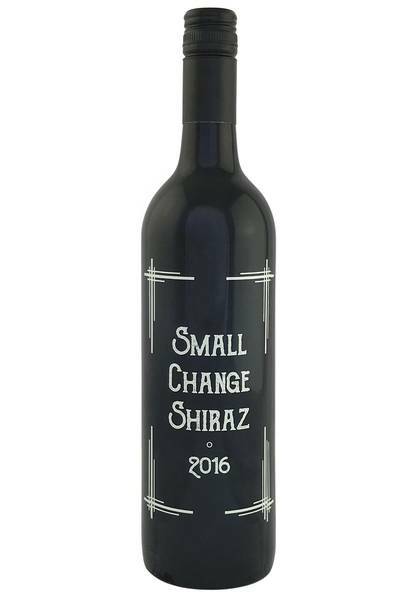 This example from Small Change does everything we want a Shiraz to do on the palate, and as such, we know exactly the kinds of foods that are going to pair gorgeously with it. Big, bold, meaty dishes - barbecued if possible - are the real winners here; beef, lamb, game, grilled pork… it’s a meat lover’s dream. If meat isn’t your thing, you’ll find great results with grilled aubergines and mushroom dishes, too. Just keep it simple, hearty and rustic, and you’re sure to have a great meal ahead of you!